The 30th Harbin International Ice and Snow Festival is going on in Harbin, China. It started on January 5 and will last for over a month (depending upon the weather). 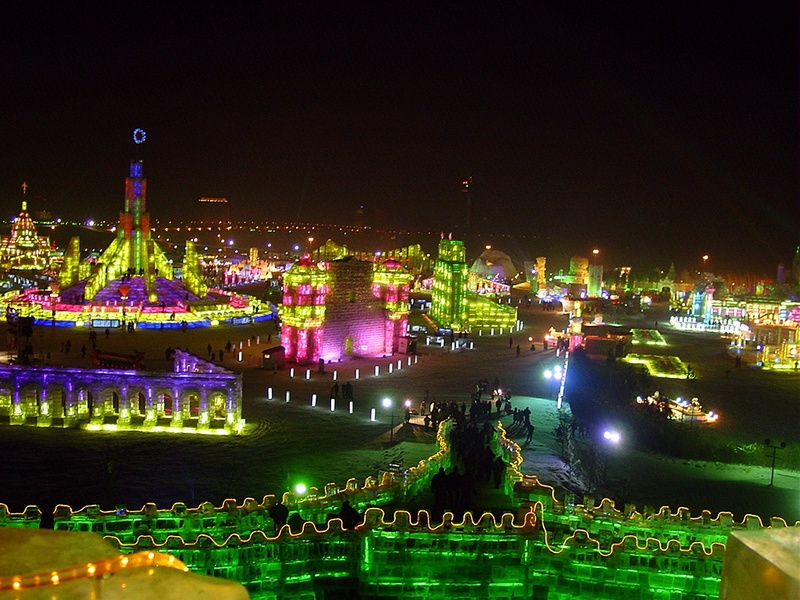 It is one of the largest ice and snow festivals in the world. There are life-sized buildings carved out of ice that are lit up with colorful lights. It looks like a magical land of fairy tales with castles, statues, ice slides, and even a bridge made out of ice. There are replicas of famous buildings. One of the star attractions this year is a 46 metre (150 feet) tall copy of the Hallgrimskirkja church in Reykjavik, the capital of Iceland. There are also replicas of the Colosseum in Rome, the capital of Italy, and the Empire State Building in New York, USA. Harbin is nicknamed “City of Ice”, and there is a good reason for that. The average winter temperature in Harbin is -16 degrees Celsius (about 3 degrees Fahrenheit). Brrr – that’s cold! Here is a video. The world’s first ice hotel was built in Jukkasjärvi, Sweden and is called “ICEHOTEL“. An ice hotel is a hotel that is built every year from ice and snow when it is cold enough. When the weather warms up, the hotel melts away.